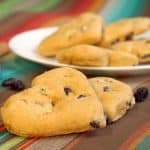 Maamoul Cookies are melt in your mouth, date filled cookies that are low in sugar but robust in flavor. They are an ancient Arab dessert that are often made to celebrate Eid, the end of Ramadan. 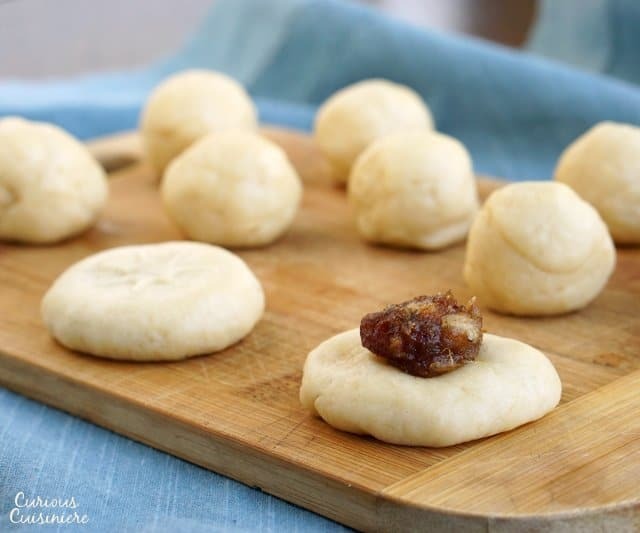 Maamoul are an ancient cookie from the Arab world. They are very popular in Syria, Jordan, Lebanon, Israel, and Palestine. Ma’amoul means “stuffed” in Arabic. 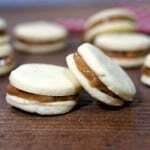 These flavorful cookies can be stuffed with a number of different fillings. These three are the most common fillings you will find for maamoul. These cookies truly have an ancient history. There are even depictions of them in ancient Egyptian temple paintings and carvings! For Muslims, maamoul are traditionally made a few days before Eid, the three-day celebration that ends the Ramadan month of fasting. During the Eid celebrations, there is a lot of visiting friends and entertaining. 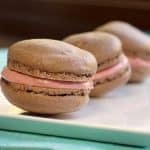 These cookies store well, so they’re perfect for keeping on hand as a treat for impromptu guests! 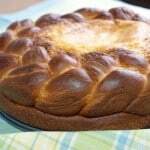 Maamoul are also enjoyed by Christians as a treat to celebrate Easter and the end of the Lenten fast. 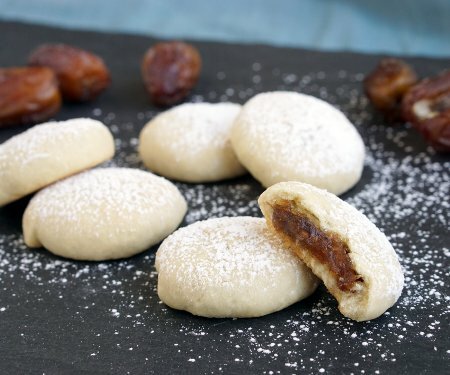 The simple outside and sweet, flavorful filling of the maamoul cookies is a reminder that there is a sweet reward at the end of a period of fasting. Traditionally Maamoul contain a spice called mahlab. Mahlab is a spice that is made from ground cherry pits. It smells like a combination of almonds and cherries, with a hind of anise. 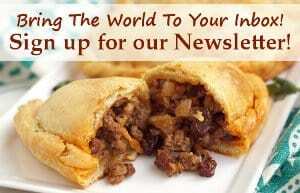 If you live near a Middle Eastern grocer, you will probably be able to find mahlab there. 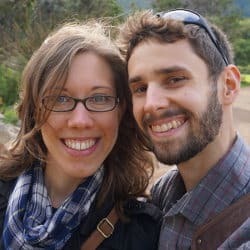 You can also find it online.But most online vendors we found require you to buy quite a lot, which may not be practical if you just want to experiment with it a bit. Insted of mahlab, we us a dash of almond extract and a little anise in our date filling. The flavor might not be spot on what it would be if you used mahlab, but it will be close and is very tasty! 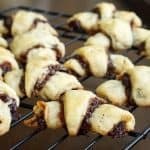 The wonderful, sweet and fragrant center of these cookies is made from naturally super-sweet dates that have been turned into a jam-like paste. Most recipes for making date paste have you grind the dates in a food processor with some oil until they turn into a paste. This is all well and good, but it does make a sticky mess inside your food processor. If you don’t like the idea of cleaning a date paste coated food processor, or if you don’t have access to a food processor, there is an easy way to make date paste without a food processor. 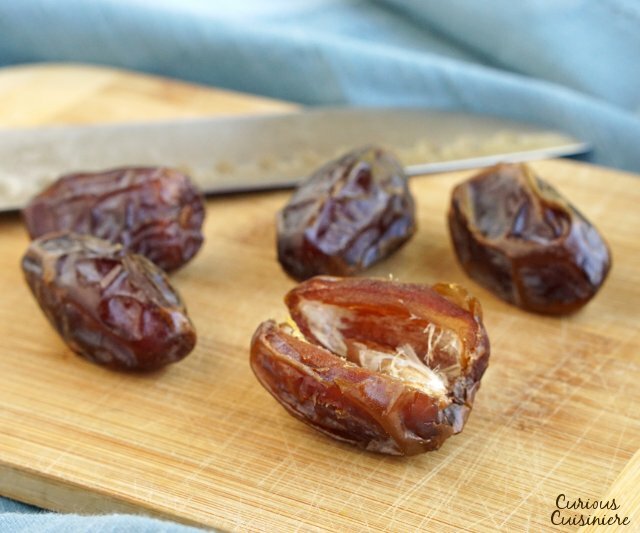 Dried dates break down really well when heated with a little oil and water. With just a little heat you have your paste! Yes, the resulting paste will be a bit more chunky than a blended-smooth paste. It will be a bit closer in texture to a thick jam. But, this method is a great option if you are without a food processor or are looking for easy clean up! Traditionally, maamoul are shaped using a mold called a tabbeh. These molds are carved out of wood and have a handle that can be tapped to release the cookie. The shape of the mold signifies what filling is inside the cookie. If you don’t have a maamoul mold, don’t worry. They are simple to shape without a mold, and you can even give them pretty designs. We found that the round plates that go inside of a cookie press are perfect for making little designs on the maamoul. But, if you don’t feel like decorating the cookies, don’t worry. They get sprinkled with powdered sugar after baking, so the designs aren’t that noticeable anyway. Our recipe for date filled maamoul makes about 20 cookies. If you’re making it for a crowd, you can always double the recipe. All in all, maamoul are fairly simple to make, but the filling and shaping does take a little time. So call in some friends or family and have a cookie-making party! Both the dough and the filling come together pretty easily. One important thing to note about making the dough is that the oil and butter are rubbed into the flour, not kneaded. The rubbing action means less development of the flour’s gluten proteins. 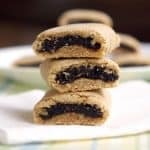 This results in a cookie that is tender and crumbly. 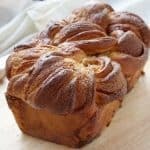 So, resist the urge to over-work the dough. Work it just enough to get it to come together. How Long Do Maamoul Last? 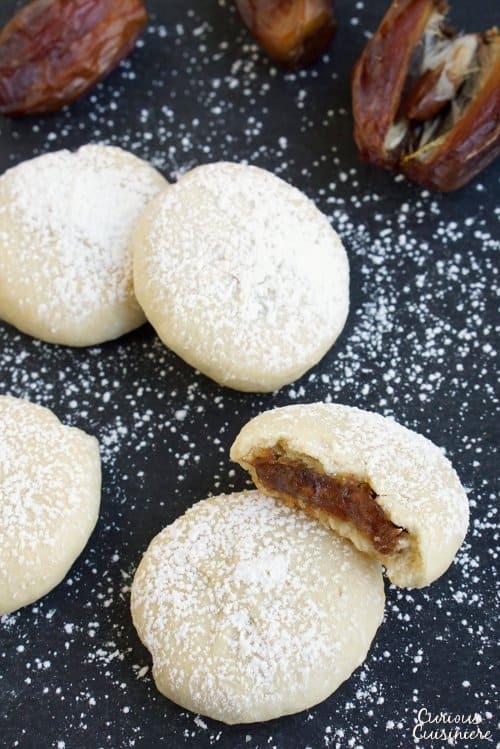 The combination of moist date filling and crumbly cookie exterior means that maamoul will stay fresh for quite some time. 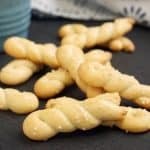 Maamoul cookies will last for 2-3 weeks in an air-tight container on the counter. They will last even longer if kept in the fridge. So, don’t be afraid to make a big batch to keep on hand for impromptu guests or when those sweet cravings strike! 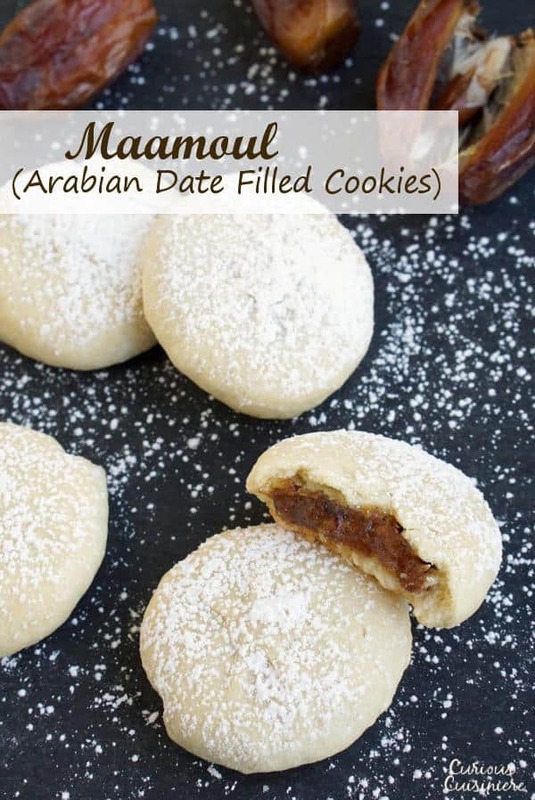 Maamoul Cookies are melt in your mouth, date filled cookies that are low in sugar but robust in flavor. In a small bowl, mix the milk and yeast. Set aside until the yeast has softened and is foamy, 3-5 minutes. In a medium bowl, mix flour and sugar. Rub the oil and melted butter into the flour with your fingertips, until the mixture is an even, sandy texture. Add the yeast and milk mixture and vanilla. Mix gently with your fingers. Add water, a little at a time, mixing gently after each addition, until the dough comes together in a soft and shaggy dough. Cover the dough and set aside to rest for 10 minutes, while you prepare the filling. Place the chopped dates in a small saucepan along with the other filling ingredients. Cover the saucepan and heat over medium heat, 7-10 minutes, stirring occasionally, until the dates soften and become jam-like. Separate the dough into 1 Tbsp sections. Roll each section into a ball. Flatten one ball of dough into a disc and place 1 tsp of filling on the center. Fold the edges of the dough around the filling, pressing them together to seal in the filling. Roll the filled cookie gently between your hands to bring it back to a nice ball shape. Then, flatten the cookie slightly. Decorate, if desired, using a fork or press the filled cookie into a floured mold and tap it out. Place the filled and shaped cookies onto a parchment-lined baking sheet, 1 inch apart. Bake the cookies for 25 minutes, rotating the baking sheet once during cooking. Remove the cookies when they are lightly golden brown. Let the maamoul cool completely before dusting with powdered sugar. Store the maamoul in an airtight container on the counter for 2-3 weeks.